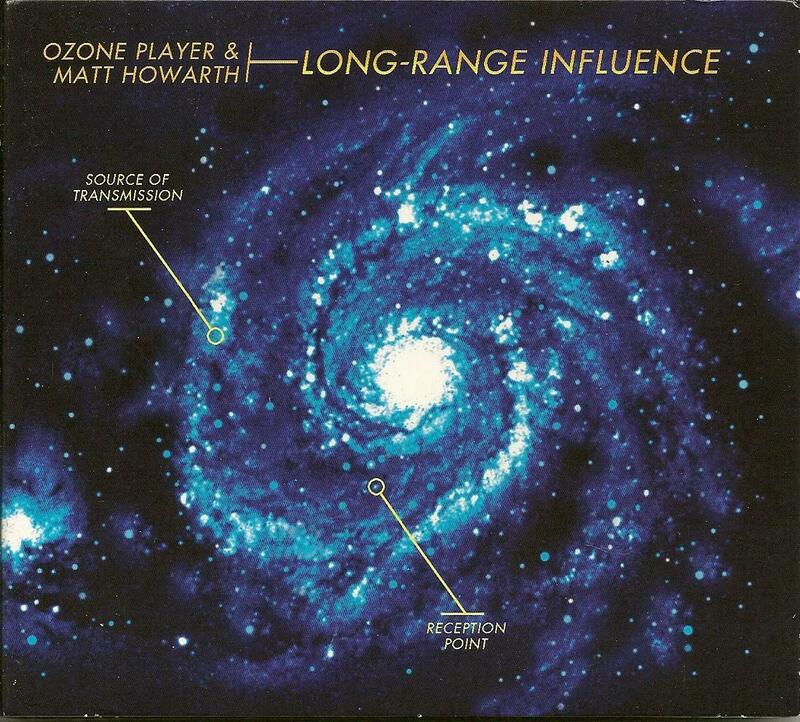 Ozone Player & Matt Howarth - "Long-Range Influence"
Soundtracks to science fiction movies are nothing out of the ordinary, but this musical/visual collaboration between Finnish synthesizer-based collective Ozone Player and writer/artist Matt Howarth is something not seen too often: a soundtrack to a comic book. In fact, Howarth has contributed to at least four similar projects over the years, including Node In Peril (soundtracked by Quarkspace), Semper Fidelity (with Galactic Anthems) and 2010's Romance In The Mylar Garden (with Heuristics Inc). His musical links extend back to 1987's Savage Henry graphic novel series about the adventures of a guitarist from an alternate reality, featuring guest appearances from Hawkwind, Ash Ra Tempel, Yello, Wire, and a host of other musicnauts. Ozone Player, who contribute the music for Long-Range Influence is agroup of musicians centred around Otso Pakarinen, a multi-instrumentalist who started playing at the age of twelve, and has now released six albums as Ozone Player, beginning with 2000's Insane Logic, which was based on author Peter F. Hamilton's The Knights Dawn trilogy. The music on Long-Range Influence follows the short 22 page graphic novel of two astronauts on a deep space mission who discover sentient life on another planet. To give away any more of the plot would be counterproductive, but suffice to say that it is a quirky and thought-provoking tale somewhat in the spirit of an Asimovian short story. Ozone Player's soundtrack is similarly quirky in nature, being a mix of 1980's synthpop, Tomita/Vangelis-style instrumental keyboard-based progressive music, and (perhaps unsurprisingly) 1960's soundtrack music, conjouring visions of a bright and shiny future that never quite happened. This is particularly evident on final track The Great Anthem, which brings to mind Gerry Anderson puppets bobbing across the screen. Plans To Catalyse The Atmosphere is highly reminiscent of 1960's TV interlude music, and Scaling The Sky Root sounds a little like the Peter Gunn theme as played for Lady Penelope. Almost every track is quite melodic and eminently humm-able, but are best taken as a complete work with the graphic novel and excellent cover artwork, as they sound a little pedestrian when listened to in isolation. Fans of Barry Gray's soundtrack, or of short stories from the golden age of sci-fi, will find plenty to enjoy here, although anyone looking for spacerock riffs and dark futurescapes had best keep searching. The graphics for "Long-Range Influence" come as a PDF file on the disc requiring Acrobat Reader, and cannot be accessed by downloading the album.